There is nothing better that enjoying the benefits of warm water in your property. However, while hot water might be an important aspect of your property, these systems often require a professional service provider to install and maintain them appropriately. For this reason, you can count on us as your reliable water heater repair service provider. We have the experience and knowledge required to mitigate any complications that may be compromising the functionality of your unique heater. Having worked with several clients over the years, there is no heater repair job that is too difficult for us to handle. Another important aspect our state of the art Water Heater Service in Phoenix, AZ is that we train all our staff members on providing clients with value. This training is especially focused on enhancing their competencies at restoring the functionality of the heater in your property. The added benefit is that the job is completed in a timely manner such that you can resume your day to day activities as fast as possible. The repair job is considered successful only when you are satisfied. You will also appreciate the professional nature of our staff members. 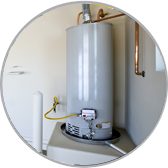 In fact, as an industry leader when it comes to Water Heater Service in Phoenix, AZ, we have some of the best resources available to get the job done perfectly. We will provide you with the peace of mind that your investment is safe in our services and that your heater will be restored to normal functionality. More so, we also provide our clients with additional information required for maintaining, safety and evaluating the heater for future purposes. We care deeply for you and it is why we have various communication platforms for your to query about our technician services.